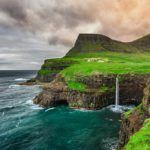 The Faroe Islands are one of the world’s most unique countries with a history that expands back well over a thousand years. While the Faroese krona may have only been introduced in the 20th century it is a great representation of the country. 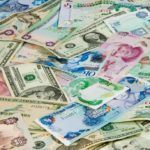 The imagery on the notes represents the stunning natural beauty of the island, while the modern history of the currency reflects that of the islands themselves. Danish currency has circulated for over 1000 years, with the earliest known coins dating back to 825-840 CE. Danish kings all issued their own coinage based on the Carolingian silver standard (based on a .940 silver penny weighing 1/240th of a pound). The krone (Danish for crown) was first introduced in the early 17th century when it was decreed that 12 penning = 1 skilling, 16 skilling = 1 mark, 6 mark = 1 rigsdaler, and 8 mark = 1 krone. Following a financial crisis in 1813 the rigsbankdaler became the new base currency. In this system six old rigsdaler were worth one new rigsbankdaler, which was divided into 96 rigsbank skilling. The name rigsbankdaler however soon reverted back to rigsdaler and the rigsbank skilling became just skilling. Denmark and Sweden formed the Scandinavian Monetary Union in 1873, which led to the return of the krone in 1875. As part of Denmark the Faroe Islands officially used the krone, but due to the distance and changing political status of the Faroe Islands, other currencies were also used. In the late 1800s a private merchant from Germany, C.F. Siemsen, issued his own coins on the island. Similarly from 1929 to 1933 JF Kjølbro issued aluminium coins in denominations of 10, 25 and 50 øre, and 1, 2, 5, and 10 kroner. Another merchant, S.P. Petersens Eftf, also issued his own brass currency at the same time as Kjølbro in denominations of 5, 10, and 25 øre and 1, 2, and 5 kroner. In 1940 Danish krone notes issued to the islands were stamped with the phrase “Only valid on the Faroe Islands, Faroe County, June 1940”. During WWII the islands were occupied by both the UK and the Germans. In 1940 the British pegged the krona to the GBP at a rate of 22.4 krone = 1 pound. In 1941 the Brits minted coins in 1, 2, 5, 10, and 25 øre. After the war it took a few years before the Faroese krona was removed from its peg to the British pound, and returned to a peg with the Danish krone. The Faroese krona is exchanged at par with the Danish krone, and the two can be exchanged for free by the National Bank of Denmark. Although Danish kroner are no longer officially legal tender on the Faroe Islands, they are widely accepted by local businesses. Faroese notes, on the other hand, are not generally accepted in Denmark simply because few people in Denmark are aware that the Faroese krona exists! Although Denmark is part of the EU it retains the Danish krone, however the DKK is on a moving peg against the EUR, bouncing between about 7.42 DKK = 1 EUR to 7.48 DKK = 1 EUR, with the value usually around the 7.45 mark. The latest release of Faroese banknotes was printed from 2001 to 2005 in denominations of 50, 100, 200, 500, and 1000 kroner. 1000 kroner Red Purple sandpiper Sandoy – the first of the five southern islands, and the fifth biggest of all the islands. Despite having its own unique notes, the Faroe islands uses standard Danish coins. The Faroese economy remains highly dependent on fishing, making it highly vulnerable to environmental changes. In the 1990s a drop in the fish catch threatened to decimate the economy. In order to diversify, the country is seeking to expand into fish processing, and there is some hope for potential petroleum reserves offshore. Denmark subsidises the islands to the tune of 3% of Faroese GDP. The country has one of the lowest unemployment rates in Europe, however this is in part due to the high number of students and young people who travel to Denmark in search of more opportunity. Oddly Denmark is not the largest recipient of Faroese exports, instead it is Russia at over 20%, followed by the UK at 16.6%. Denmark comes in at third 16.3%, however it is by far the largest source of imports at 43.9%. 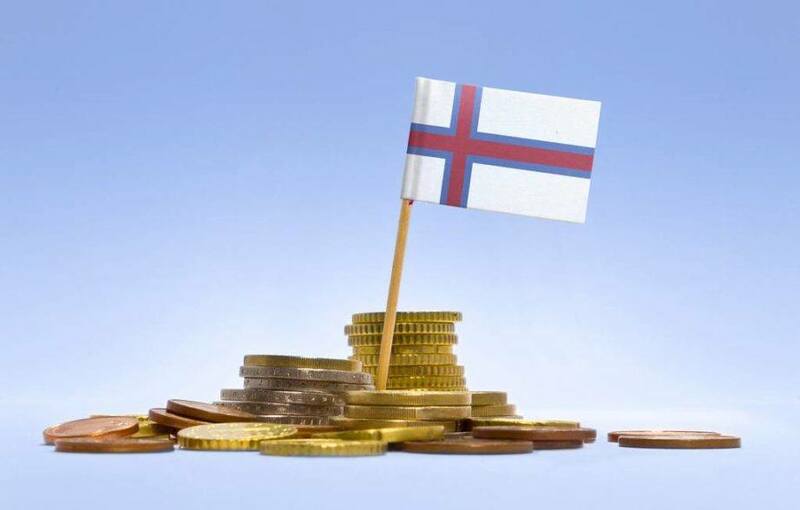 The Faroese Krona (FOK) is pegged to the Danish krone (DKK) which is in turn pegged to the euro (EUR), so the currency’s fate is out of the hands of the Faroe Islands. Still, the economy has overcome the challenges of the 1990s when the fishing stock came close to collapse, and is now seeking to diversify its economy. More Faroe Islands info awaits with our Country Profile and Travel Guide.